Locally known as Shwedagon Zedi Daw The, it sits atop of a hill and is 99 meters high. 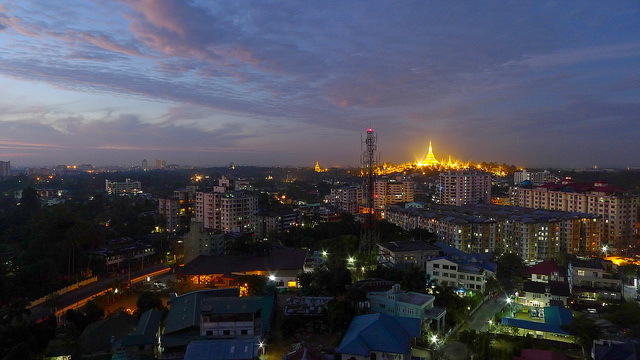 It can be seen from most places of Yangon day and night as the golden roof illuminates the city. According to some, the pagoda is 2,600 years old, making Shwedagon the oldest pagoda in the world. 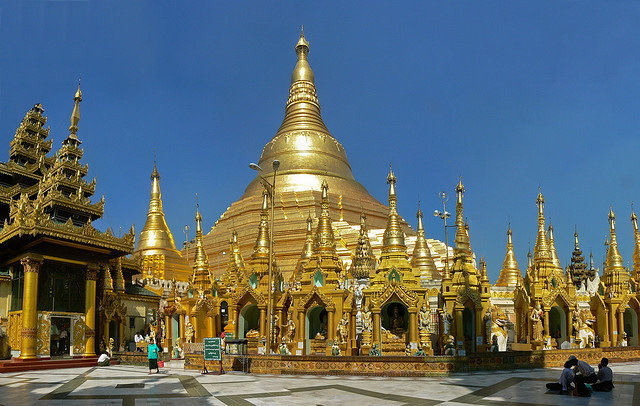 There is little wonder that the Shwedagon is referred to in Myanmar as "The crown of Burma." Visitors are required to remove their shoes upon entering the Shwedagon and negotiating the scalding floor tiles between the shaded sanctuaries is not an easy process. "The Shwe Dagon," wrote Somerset Maugham in 1930, "rose superb, glistening with gold, like a sudden hope in the dark night of the soul."